Download NCERT Solutions for CBSE Class 06 Science Food-Where does it Come From Food-Where does it Come From: What are the various sources of our food? What do other animals eat? Plant parts and animal products as sources of food; herbivores, carnivores, omnivores. Download NCERT Solutions for CBSE Class 06 Science Components of Food Components of Food: What is our food made up of ? Why do we eat a variety of food? Carbohydrates, fats, proteins, vitamins, minerals, fibres, their sources and significance for human health; balanced diet; diseases and disabilities due to food deficiencies. Download NCERT Solutions for CBSE Class 06 Science Fibre to Fabric Fibre to Fabric: What are our clothes made of ? How did people manage when there were no clothes? Different types of cloth materials – cotton, wool, silk and synthetics. Development of clothing materials. Download NCERT Solutions for CBSE Class 06 Science Sorting Materials into Groups Sorting Materials: What kinds of things do we see around us? Grouping things on the basis of common properties. Download NCERT Solutions for CBSE Class 06 Science Separation of Substances Separation of Substances: Methods of separation (Separation of a solid from other solids, Separation of water Soluble solids, separation of Insoluble solids from Liquids, Separation of Immiscible Liquids), Importance of Separation. Download NCERT Solutions for CBSE Class 06 Science Changes around Us Changes around: In what ways do things change on being heated? Do they change back on being cooled? Why does a burning candle get shorter? Some changes can be reversed and others cannot be reversed. Download NCERT Solutions for CBSE Class 06 Science Getting To Know Plants Getting To Know Plants: What is the structure and function of various parts of the plants - stem, leaf and roots? How do different flowers differ from one another? How does one study flowers? Morphological structure and function of root, stem and leaves. Structure of the flower, differences. Download NCERT Solutions for CBSE Class 06 Science Body Movements Body Movements: How did people travel from one place to another in earlier times? How did they know how far they had travelled? How do we know that something is moving? How do we know how far it has moved? Need to measure distance (length). Measurement of length. Motion as change in position with time. Download NCERT Solutions for CBSE Class 06 Science The Living Organisms and Their Surroundings The Living Organisms and Their Surroundings: Habitat varies – aquatic, deserts, mountains etc. – plants and animals show adaptation; other plant part modifications like tendrils, thorns etc. Animals in deserts and water. Download NCERT Solutions for CBSE Class 06 Science Motion and Measurement of Distances Motion and Measurement of Distances: How did people travel from one place to another in earlier times? How did they know how far they had travelled? How do we know that something is moving? How do we know how far it has moved? Download NCERT Solutions for CBSE Class 06 Science Light Shadows and Reflections Light, Shadows and Reflections: Classification of various materials in terms of transparent, translucent and opaque. A shadow is formed only when there is a source of light and an opaque material obstructs a source it. A shadow is black irrespective of the colour of the object. Download NCERT Solutions for CBSE Class 06 Science Electricity and Circuits Electricity and Circuits: Electric current: Electric circuit (current flows only when a cell and other components are connected in an unbroken loop) Conductor, Insulator. Mica, paper, rubber, plastic, wood, glass metal clip, water, pencil (graphite), etc. Download NCERT Solutions for CBSE Class 06 Science Fun with Magnets Fun with Magnets: Poles of a magnet. A freely suspended magnet always aligns in a particular direction. North and South poles. Like poles repel and unlike poles attract each other. 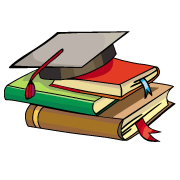 Download NCERT Solutions for CBSE Class 06 Science Water Water: What will happen to soil, people, domestic animals, rivers, ponds and plants and animals if it does not rain this year? What will happen to soil, people, domestic animals, plants and animals living in rivers and ponds, if it rains heavily? Download NCERT Solutions for CBSE Class 06 Science Air around Us Air around Us: Some animals and plants live in water; some live on land and some live in upper layers of soil; but all need air to breath/to respire. 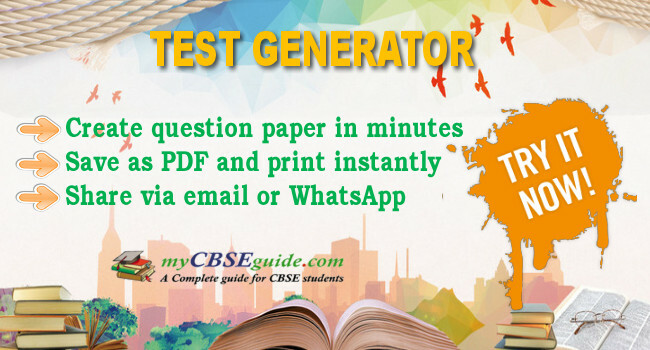 Download NCERT Solutions for CBSE Class 06 Science Garbage in Garbage out Garbage in Garbage out: Do you throw away fruit and vegetable peels and cuttings? Can these be reused? If we dump them anywhere, will it harm the surroundings? What if we throw them in plastic bags? NCERT 6th class Science book solutions are available in PDF format for free download. These ncert book chapter wise questions and answers are very helpful for CBSE board exam. CBSE recommends NCERT books and most of the questions in CBSE exam are asked from NCERT text books. NCERT 6 science Text book Solutions. Class 6 Science chapter wise NCERT solution for Science the chapters can be downloaded from our website and myCBSEguide mobile app for free. NCERT Solutions Class 6 Science PDF (Download) Free from myCBSEguide app and myCBSEguide website. Ncert solution class 6 Science includes text book solutions from book. NCERT Solutions for CBSE Class 6 Science have total 16 chapters in Science. Class 6 science ncert Solutions in pdf for free Download are given in this website. 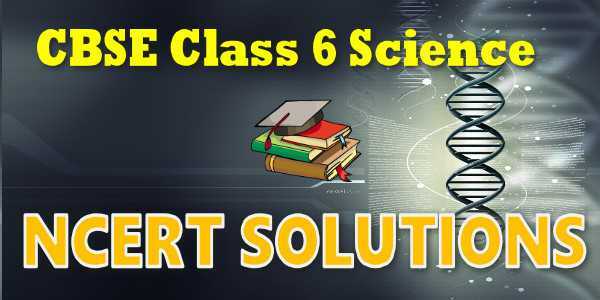 Ncert Science class 6 solutions PDF and Science ncert class 6 PDF solutions with latest modifications and as per the latest CBSE syllabus are only available in myCBSEguide. NCERT 6 science Text book Solutions.